Happy Tuesday everyone! A preview of Kate and Jarod’s Rosemary Ridge wedding (#PartyWithThePollards) in Orlando, OK is featured on the La Brisa blog! When Kate initially contacted me about photographing her and Jarod’s mid-December wedding in Oklahoma, all I could think about was BBBRRRRRRR. Imagine my surprise when Oklahoma blessed Kate and Jarod with absolutely spectacular 55 degree weather on their wedding day! One of my favorite moments from Kate and Jarod’s wedding was during their faux first look (when the bride and groom have a moment together without seeing each other). 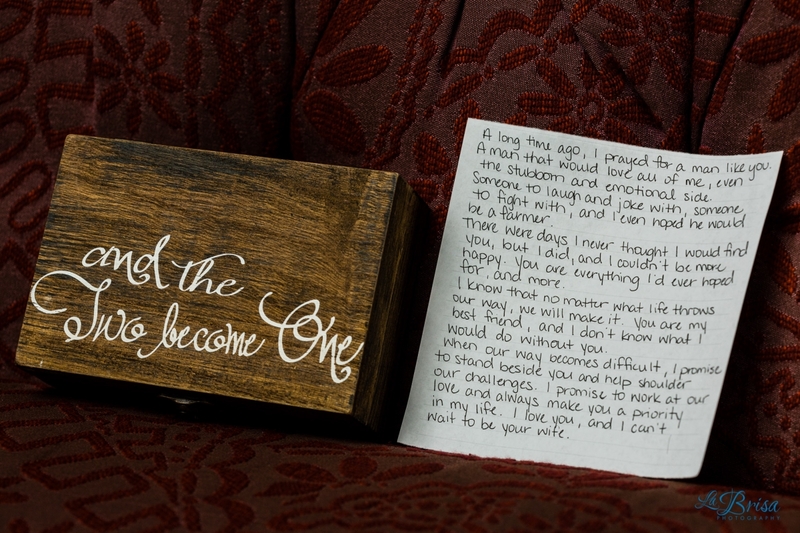 When Kate touched Jarod’s outstretched hand from around the door, she instantly started crying. Jarod’s physical presence evoked an overwhelming sense of calm and allowed Kate to release all of her pent-up emotions. Then they laughed together. And it was perfect. Congratulations again on celebrating your lifelong commitment! Thank you for trusting me with your Rosemary Ridge wedding! Be sure to “LIKE” the La Brisa FB page (www.facebook.com/labrisaphotography) where I will be posting more of your wedding photos! One of my goals is to photograph a wedding in all 50 states. 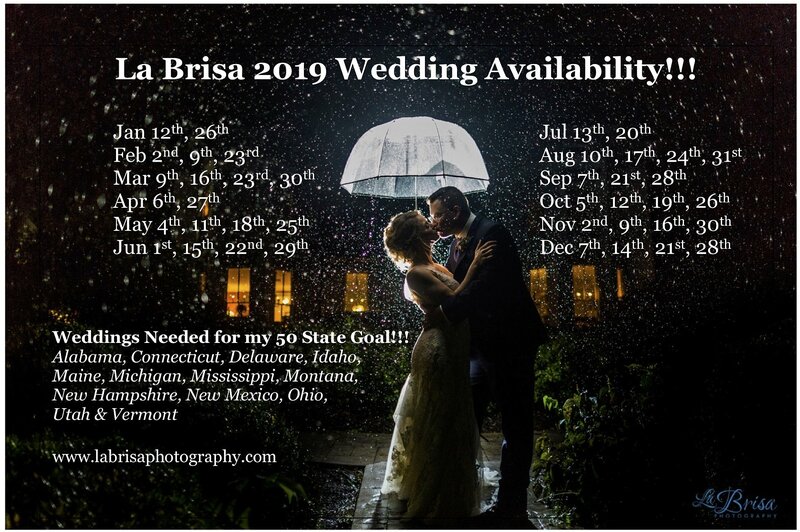 If you’re getting married in one of the 13 states (see below) I have left, please contact me and I’ll offer you an incredible discount to photograph your wedding! 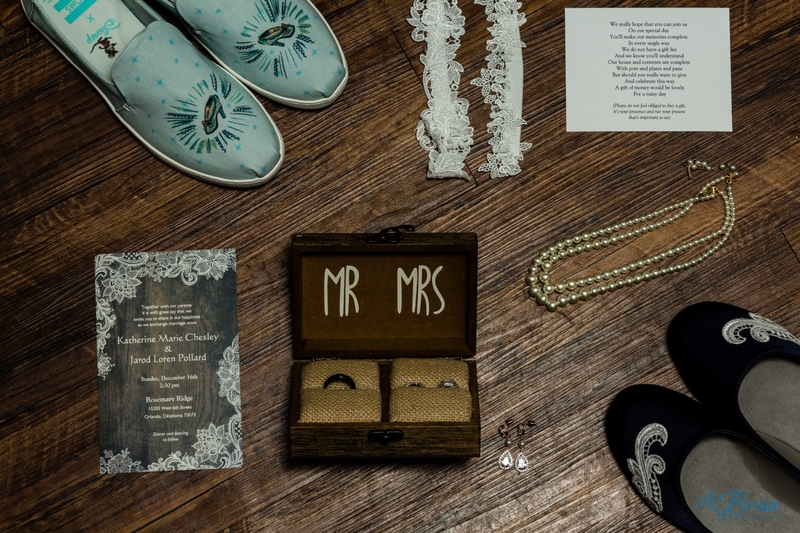 Preview photos of Kate & Jarod’s Rosemary Ridge wedding!